Mahindra KUV100 NXT (Facelift) Launched; Prices Start at Rs 4.39 Lakh! Mahindra and Mahindra, the popular Indian UV maker, has launched a facelift for its KUV100 sub-compact SUV. The KUV100, which stepped into the market back in January 2016, has pretty much failed to find many takers. Taking note of this, the manufacturer now plans to launch an updated model to give its smallest car a much needed shot in the arm. 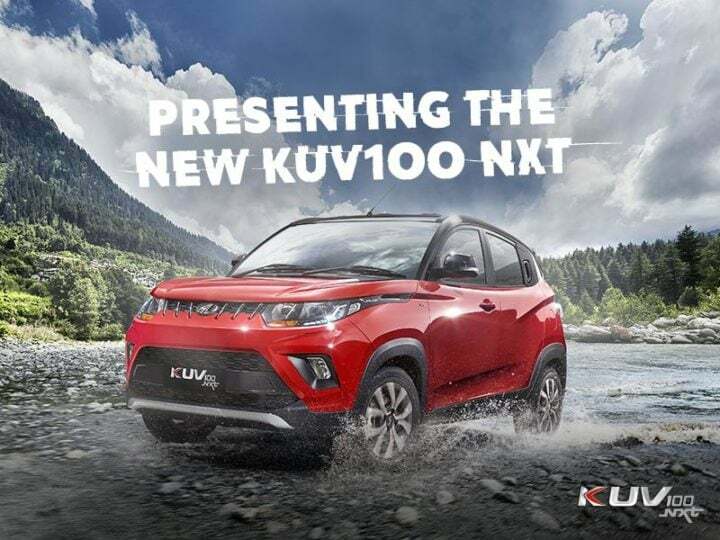 The new KUV100 facelift has been named as the Mahindra KUV100 NXT. The new model launches right at the advent of this year’s festive season and has a starting price of Rs 4.39 lakh. The main rival of the KUV 100 NXT has to be the Maruti Ignis. The Ignis has been doing fairly well, at least in comparison to the KUV. Hence, Mahindra and Mahindra needs to make it really right this time around to give its sub-compact model a better chance at attracting more buyers. It is of great importance for the company to price the facelift very competitively. Also, Mahindra could launch an AMT variant in near future, which will help it take the fight straight to Ignis AMT models. Prices of the KUV100 NXT start at Rs 4.39 lakh and go all the way to Rs 7.33 lakh. There isn’t any change in the specs sheet of the car. The sub-compact SUV will continue to get its juice from a set of three-cylinder Petrol and Diesel engines that currently power the pre-facelift model. Of course, these engines will get a re-tune for better mileage and lower NVH levels, but other than this, there won’t be any change in the specifications. The engines remain the same as earlier and hence offer the same. Currently, these three-cylinder 1.2-litre Petrol and Diesel engines offer an ARAI-tested mileage of 18.15 KMPL and 25.32 KMPL respectively. The Mahindra KUV100 NXT facelift will offer better styling and many new features. 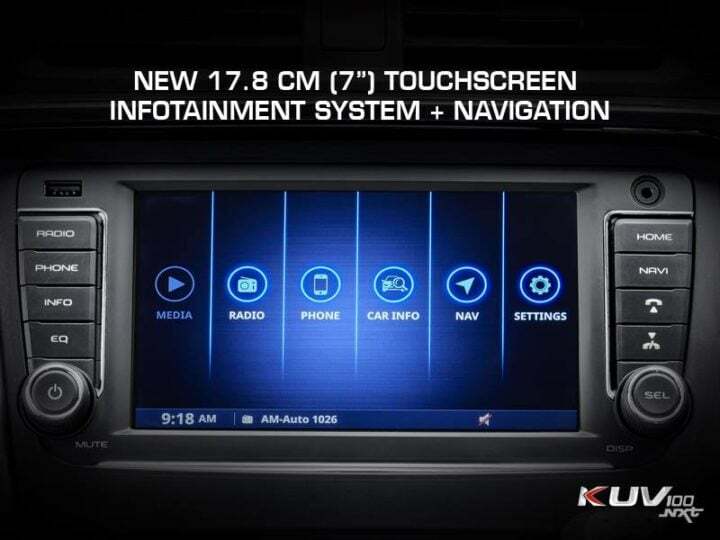 The most important of these additions will be the new touchscreen infotainment unit. As the car will get only a few new styling bits, its design will remain essentially the same. This means that the dimensions will remain the same as those of the current car. The interior won’t see any major change. However, a handful of minor changes should make the cabin a better place to be in. The seats will get a new upholstery and the dashboard might get a new trim. Also, the center console gets a revision to accommodate a touchscreen infotainment unit. This is an important addition, considering the Ignis offers the excellent SmartPlay infotainment unit on the top-end models. A highlight of the KUV100 is the front row of seats, which offers a bench-like arrangement to accommodate up to 3 passengers. The KUV 100 micro SUV has received a lot of negative criticism for its ungainly exterior. The NXT facelift will address this issue by offering a better styling. This should help it find some more new customers. So far, the KUV100 has been struggling on the sales charts. A large reason for this is the rather weird looking exterior. The NXT facelift will come with a revised front facade that will boast new headlamps, a new grille, and an updated bumper that will carry new foglamp units. The grille will have enough chrome to attract the chrome-hungry buyers. 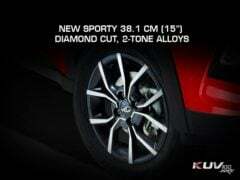 In the side profile, the KUV100 NXT will come with a set of stylish, new-design alloy wheels and probably updated plastic cladding. The rear-end will also see some significant changes. 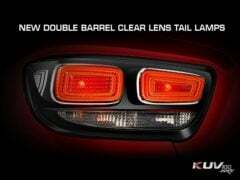 The tailgate will be completely new and the taillamps will have an updated design. 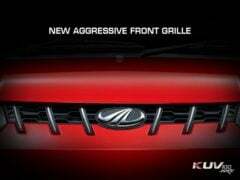 So, what do you think of the new Mahindra KUV100 NXT facelift that is about to launch? Do you think it will be able to fend off the heat from the likes of Maruti Ignis and Hyundai Grand i10? Share your views with us by penning them down in the comments section below.